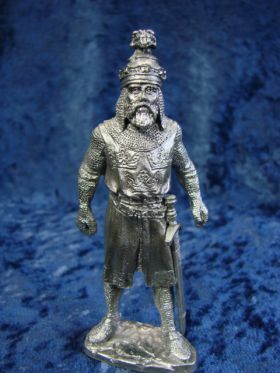 Artist Ray Lamb captures the very essence of King Arthur in this design for Perth Pewter. 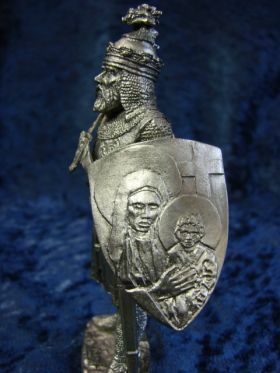 Holding steadfast to his shield with the Madonna and Child engraved upon it and gazing into what the future holds for Camelot with Excalibur at his side, this piece exhibits all of the fine detail synonymous with Perth Pewter. 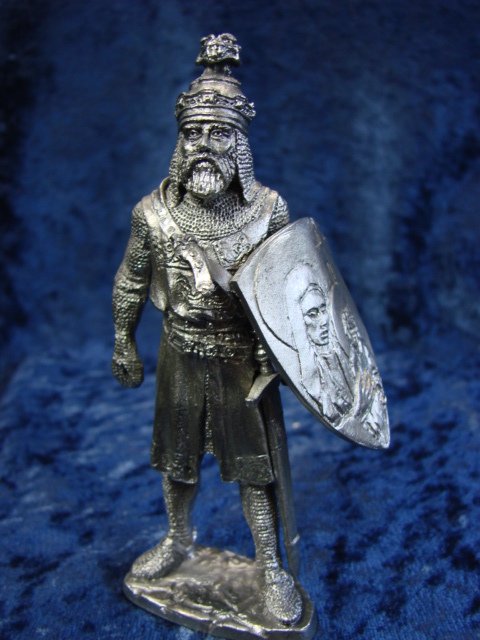 This sculpture measures approximately 4 inches tall.